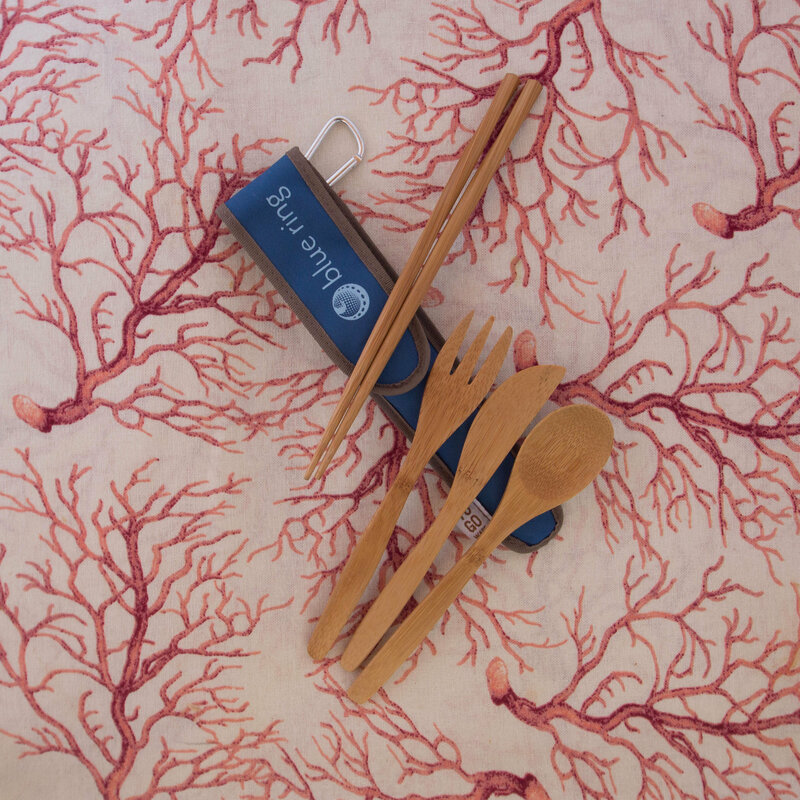 Instead of using disposable plasticware, bring your own set of utensils. Since they're wood, they travel through airport security. The carrying case is made from recycled plastic water bottles.